Rising Texas Country Music Sensation Jesse Raub Jr. The Lone Star State has some skills when it comes to rising stars on the country music scene. Filled with an independent drive, passion to make unique sounds, and constantly changing with the times and the industry, Texas has some rising stars you need to be aware of and Jesse Raub Jr. is one of them. Posted to the YouTube channel for When the Cowboy Sings, the song “Sittin’ Here” is featured as track number three on the album of the same name. 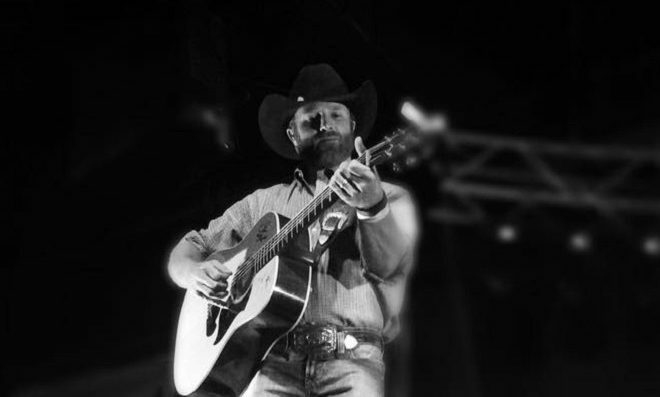 It has a drinking song appeal with a backstory that could be all too familiar for some and features the vocal talents of Cody Johnson in tandem with Raub. The beat is up-tempo and the recording is pure Texas quality. “I am beyond blessed to be one of few that can honestly say that I enjoy what I do on that stage every night. To see the smiles on the faces of my amazing fans really touches my heart in a way that is almost indescribable ” states Raub on his website. And, the fans appear to be returning the love as he makes his way through the Texas music scene and onto the playlists of those that pack the venues he plays on a regular basis. His music is available on iTunes and can be found and heard on online. Check it out and give it a listen – he’s most likely going to be seen on some larger stages, drawing even bigger crowds in the very near future.